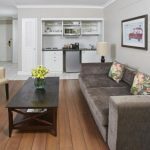 Home is where the heart is, as the saying goes, and that’s exactly what you’ll find at the Bantry Bay Suite Hotel – a home away from home and a heartfelt welcome the moment you walk through our doors. That’s because you’re not just a guest to us. You’re part of our family – which means that our sole purpose is to make you feel as comfortable, as relaxed, and as valued as possible. And how do we accomplish that? 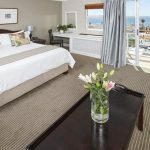 By offering you the finest boutique hotel accommodation that Sea Point and Bantry Bay have to offer, complete with lavish furnishings and every last luxurious detail you could ask for. 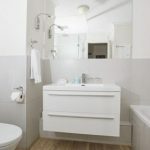 By placing you in one of Cape Town’s most unique micro-climates: wind-free, insect-free, humidity-free, and rain-free almost all year round. By mesmerising you with our breathtaking location – the magnificent Atlantic Ocean on one side, and Lion’s Head on the other. By preparing delectable gourmet food and delicious cocktails to satisfy body and soul. By surrounding you in an oasis of calm, with a swimming pool to indulge in, and abundantly flowering gardens to delight in. And by creating a relaxed, peaceful, unhurried environment you’ll want to return to again and again. Since 1999, we’ve worked to create a space that’s as friendly and approachable as it is indulgent. We’ve cultivated a reputation of professionalism and warmth, thanks to staff who genuinely love what they do. We’ve done our best to uplift the community, through initiatives like the Rainbow Academy for disadvantaged youth. And we’ve had the pleasure of watching our family grow, with each new guest that comes to stay. 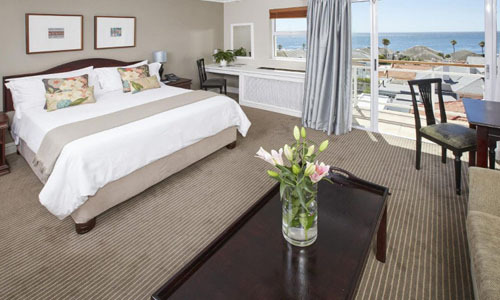 Now it’s your turn to become part of the Bantry Bay Suite Hotel legacy, by booking your visit with us and experiencing all that we have to offer. Because it’s more than just a boutique hotel in Sea Point and Bantry Bay, or luxury accommodation in Cape Town. It’s a home, and it’s expecting you any minute now.